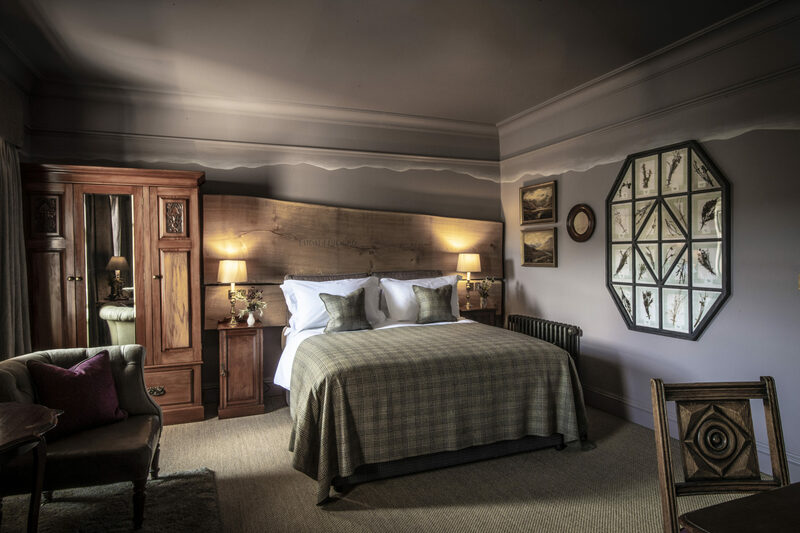 Fife Arms is set to open in the Scottish Highlands in December after a three-year multimillion pound renovation project spearheaded by Swiss owners Iwan and Manuela Wirth. After a handful of delays, the industry now holds its baited breath to see how the transformation has unfolded. 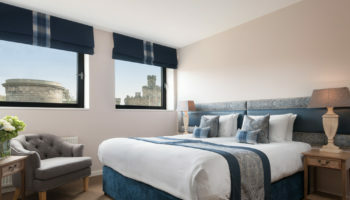 We caught up with general manager to find out exactly what will set this Scottish gem apart from the rest and why the hotel will be worth the wait. The launch of The Fife Arms has been over three years in the making and like most hotel redevelopment projects, has incurred setbacks in the lead up to the grand opening. 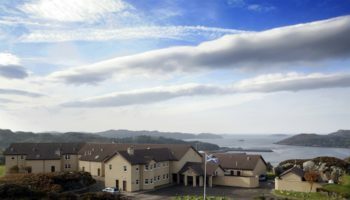 Plans for the renovation were first unveiled in May 2017, after Swiss owners, Iwan and Manuela Wirth, acquired the building in 2015 armed with bold ideas to make the hotel one of the top resorts in Scotland. The pair are considered to be two of the world’s most powerful art dealers, owning Hauser + Wirth galleries and property in Zurich, New York, London, Somerset and LA, then embarked on a multimillion pound refurbishment at the 19th century hotel in Braemar. The project has certainly attracted interest, with the delayed opening building up anticipation further. Now the date has been set for December, when the 46-bedroom hotel, complete with spa, cocktail bar, restaurant, pub, library and cinema, will finally welcome its first paying guests. Given the pair’s art connections, it’s no surprise that The Fife Arms will be adorned with paintings, sculptures and murals from high-profile contemporary artists and developed through the couple’s firm ARTFARM. Designer Russell Sage is in charge of the interiors, with a focus on strong Scottish connections and artwork, while Moxon architects has overseen the refurbishment. Each bedroom is dedicated to a local place or person of note, such as Robert Louis Stevenson who began to write his classic novel Treasure Island in Braemar and the poet Lord Byron, who recuperated in the area from scarlet fever in 1796. Boutique Hotelier caught up with general manager Federica Bertolini ahead of the launch to find out what this special project has in store. The hotel’s reopening has been delayed slightly – why is this? The transformation of The Fife Arms, a Listed building, is not something that can be rushed. 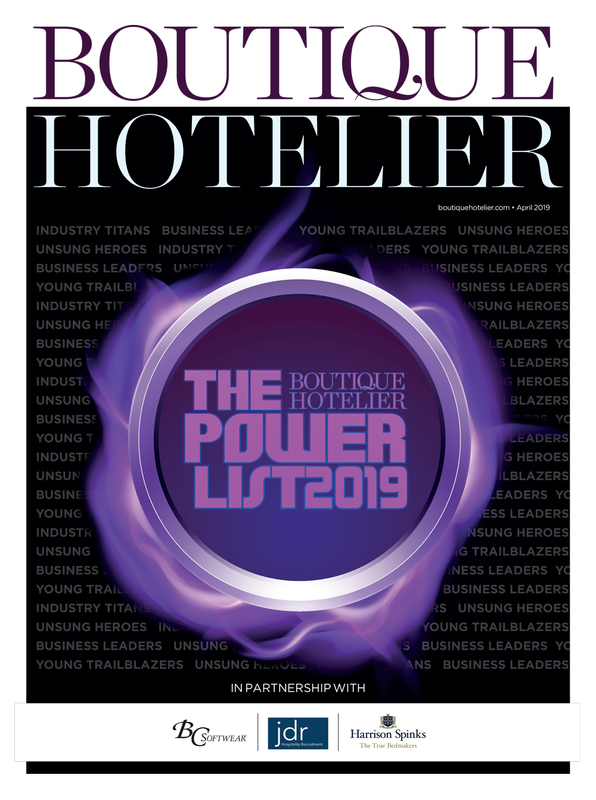 The entire team – Iwan and Manuela Wirth, interior designer Russell Sage and architect Ben Addy, have worked tirelessly together to ensure that this much loved local hotel has been given the level of care, attention and quality work that it deserves. We are incredibly grateful to the local community of Braemar who have been extremely patient while work has taken place at the hotel. We are very conscious of the important role that The Fife Arms has played within Braemar and the hotel belongs to them. It is a part of the fabric of Braemar. I have heard so many stories from people about the hotel, it is a place that has a strong emotional attachment for many people. We are looking forward to being able to welcome residents back to the hotel. This is a hotel for locals and visitors alike. What were the ideas behind the hotel’s transformation? There are several strands that run through this extraordinary project. First, conservation. Iwan and Manuela Wirth see themselves as guardians of The Fife Arms rather than owners. Conservation is important to them, over the years they have been involved in the restoration of several historic buildings – and The Fife Arms presented an opportunity to do this, in a stunning part of the world. To restore and refurbish this architectural gem, we have harnessed the talents of an incredible cast of local talent, led by Ben Addy, the architect and his brother Tom, Site Manager, who grew up here. Tom was therefore able to enlist an extraordinary team of local craftspeople, from Braemar and close by – joiners, stonemasons, restorers, carpenters, blacksmiths – all of whom work traditionally, in “the old way” – some of them are second generation, with their skills learnt from their families before them. The brief was to make the hotel to be as open to the public as possible. Moxon has executed a careful, super sensitive and ‘craft’ restoration of the listed building, including sympathetic alterations to ensure the key areas of the hotel have been opened up, to give easier access to both locals and visitors. The Wirths have been coming to Scotland for years and they think The Highlands is one of the most beautiful places in the world. Braemar has a rich history and a stunning setting in the heart of the Cairngorms National Park, surrounded by spectacular highland scenery. If a stay at The Fife Arms gives our guests a taste of life in the Highlands and helps to unlock the surrounding landscape, then we will have achieved our aim. When did you come on board as general manager of the hotel? 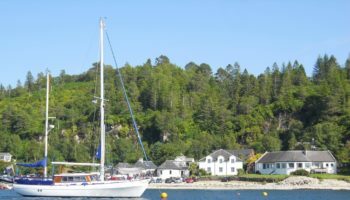 I moved to Braemar two and a half years ago from Cornwall, where I held the position of general manager at Olga Polizzi’s Hotel Tresanton in St Mawes. It was a real change, but the community has been very welcoming, and I feel very much settled in. It has been wonderful to live right next to the hotel and see the project evolve from the very beginning. I love the fact that this is a hotel for both locals and visitors alike. The Fife Arms is embedded in the village. One of our key outlets Braemar’s public bar. It’s always been the hub of the village. It now has a new name, The Flying Stag, it has been re-imagined – but the idea behind it is that it will still be very much the first stop for residents of Braemar in search of a pint and pie. We even commissioned a young artist, Gideon Summerfield, to draw portraits of some of Braemar’s approximately 450 residents. A selection of portraits from this “Characters of Braemar” series will hang in The Flying Stag. The other attraction of the role is, of course, that I get to live in such a beautiful place. That is a real privilege. What research into the market did you carry out prior to launch? Scotland is already popular destination and with the opening of the new V&A in Dundee it is very much on the radar. However, good hotels are rarer the further north you go. 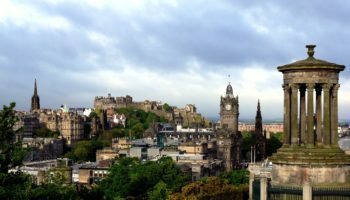 We are expecting that the initial clientele will be from Scotland and England, but Scotland’s tourism industry enjoys a healthy inbound international market, so we are looking forward to welcoming visitors from around the globe. Scotland and The Highlands are year-round destinations. We will be able to arrange for our guests to take part in seasonal outdoor activities that have taken place for hundreds of years here, with exclusive access to a neighbouring estate which is not usually available to visitors. Braemar has welcomed travellers and visitors from cattle drovers to kings, for hundreds of years. The idea behind The Fife Arms is not to attract more visitors – but to enable them to stay longer – and leave with a deeper understanding of this incredibly special destination. How hard was it to recruit your core team? We recruited locally and made sure to attract talent who are from Scotland, as well as international members of the team. Our executive chef Robert Cameron has come back to Scotland after working abroad for many years. Our ghillie, or concierge, Ros Evans, is from Braemar, she will be looking after guests while they are here. Our Director of Food & Beverage, David Dunne is also Scottish, and brings a wealth of experience with him. There are still roles to fill at the hotel and I encourage anyone who is looking for a role in hospitality to get in touch. What will be the hotel’s USP? The Fife Arms is a one-off, deeply embedded in its location. There is nothing like it anywhere, and there never will be. Over the course of the restoration our interior designer, Russell Sage, has bought over 12,000 pieces of furniture, art, curiosities and antiques, which will be spread amongst the 46 rooms and the public areas – a strong Scottish narrative, laced with wit and often specific to Braemar itself, runs throughout the entire hotel, making it a repository of stories for guests to discover over the course of their stay. Every single guestroom is a homage to a person, place or event that has strong links to Braemar and the area, each one has been meticulously researched and dressed, and translated into design elements. For example, there is a room dedicated to Robert Louis Stevenson, who started writing his famous adventure novel, Treasure Island, whilst on holiday in a house across the road from The Fife Arms. Then, step out of the door, and you have the landscape. Our aim is to fully unlock the surroundings and the wealth of experiences it offers: expanses of majestic moorland, ancient forests, and romantic coastlines, all just a drive away. This place gets under your skin, with its big skies, huge horizons, glens and forests, the fresh air and the quality of light. History is everywhere too – legendary castles, ancient sites and symbols, granite walls… this is a landscape that has been shaped by hundreds of generations of people living here. The landscape and the people are inextricably linked. 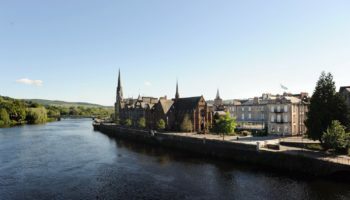 It’s on record that HM Queen Victoria fell in love with the area – it would become known as Royal Deeside as a result -and she described how it made her feel: “All seemed to breathe freedom and peace…” she said. I think these words still hold true today. What are some of the standout pieces in the hotel? Art, antiques and historic objects have been carefully collected and commissioned over more than two years for The Fife Arms. As such, the art is an integral part of the hotel’s design narrative; each piece was purchased to tell a story, whether in the guestroom and suites or in the public areas. There are works by internationally-renowned artists, specially commissioned for the hotel, including Zhang Enli, Guillermo Kuitca, Subodh Gupta, Bharti Kher, Richard Jackson and James Prosek. These are complemented by an outstanding collection of largely Scottish art, purchased especially for the hotel. In the front hall, guests will be greeted by a monumental 19th century mahogany and pine chimneypiece over 3 metres high, with depictions of various scenes from the work of the poet Robert Burns. Other notable Scottish works include pieces by Archibald Thornburn (1860-1935) one of Scotland’s finest wildlife painters and a painting by John Maclauchlan Milne, from Dundee who exhibited alongside the Scottish Colourists. Guests will also find installations and curios, old and new, all carefully curated to enhance the experience of staying here. During the renovation, Alec Finlay, the Scottish luminary and artist, was invited to take up residence in Braemar and immerse himself in the local landscape and community. He was commissioned to create “Gathering”, a guidebook to the Cairngorms, using place-names and their meanings as a way to understand the landscape, ecology and the lives that have been lived there from fresh perspectives. Words taken from his book have been carved into the wooden bedheads in several of the guestrooms. How much has been invested into the project since its acquisition? A significant amount has been invested but the exact amount has yet to be confirmed. How involved are the owners, Iwan and Manuela Wirth? Iwan and Manuela have been very involved from day one, working with the talented craftspeople, interior designers and the architects who have created the magic for The Fife Arms. This is a project of passion. Hospitality together with art has enriched both their lives and the lives of so many other people – it’s a successful recipe. Over the years, they have successfully created experiences within galleries that engage new audiences, such as the restaurant, Manuela, at Hauser + Wirth Los Angeles and Roth Bar & Grill and Durslade Farmhouse at Hauser + Wirth Somerset. Opening a hotel feels like a natural extension of this. What marketing techniques have you been using to spread the word about the hotel? We have just started to lift the lid on the story, drip-feeding teasers about the hotel to whet peoples’ appetites. The Fife Arms is so full of stories that we can’t wait to tell – and the press will play a big role in helping us to do this. We have appointed PR companies in the UK and USA as well as sales consultants in both markets too. We’re of course using the usual channels such as newsletters, direct marketing etc but we’ve also taken part in a few fun events. For example, every year over 10,000 people come to Braemar to attend the Braemar Gathering. For the last couple of years, we’ve set up a beautiful “Bothy” with a grill, so we’ve been able to offer many of those attending a literal taste of The Fife Arms with venison burgers, toasted sandwiches and cocktails made from a specially blended Gin. We also sponsored a drum in one of the pipe bands. Lastly, this hotel is a dream for social media with an Instagenic moment wherever you turn. It’s very much how ‘word of mouth’ works in today’s digital age!